From Mediaite: In the political world, it was a big day with the SCOTUS ruling on Obama’s health care reform, the Affordable Health Care Act. In the media world, it was an embarrassing day for CNN. 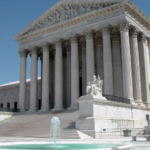 Though the Supreme Court did rule the act unconstitutional under commerce laws, it was upheld as a constitutional tax. However, CNN misreported the decision. Writes Mediaite, “Fox News has released a statement explaining its mistake earlier today, when network anchor Bill Hemmer erroneously reported that the Supreme Court had declared the health care law’s individual mandate unconstitutional… Bream correctly noted that Chief Justice Roberts had declared the mandate cannot be sustained under commerce law, but incorrectly added that this meant the mandate ‘is gone.’ Fortunately for the team, Megyn Kelly caught the mistake within the minute based on conflicting information she was reading on SCOTUSBlog, a site devoted to covering the Supreme Court. 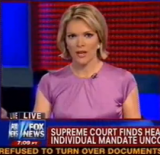 She also called for the network’s incorrect lower third to be updated.” Awkward. Read the full coverage of this and more about today’s health care opinion here. From Gossip Cop: The world just can’t seem to get enough Kardashian. And good news for the world, because it has been revealed that the two youngest Kardashian sisters are taking on a new project of their own. Reports Gossip Cop, ” On Thursday, the reality clan’s youngest stars,Kendall and Kylie Jenner, revealed they’re writing a young adult novel. The sisters tell EOnline they’re working with authorMaya Sloane on a science-fiction book set 200 years in the future, and are hoping to create a popular series in the same vein as The Hunger Games and Twilight. The novel’s protagonists will be two sisters, naturally. The Jenners already struck a deal with publishing house Simon & Schuster, and are planning to finish the project by next summer.” Read more here. From Geekosystem: Remember when Megaupload became illegal, ruining all your late-night activities? Well, the case is far from over. 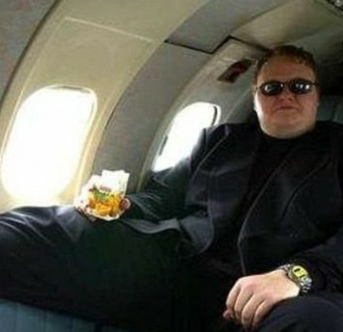 Today, a New Zealand High Court ruled in founder Kim Dotcom’s favor. Reports Geekosystem, the court has “found that the warrants executed to search Kim Dotcom’s house sprawling mansion were actually illegal and as a result, all data acquired in the raid is potentially inadmissible evidence. On top of that, the Court has also ruled that the data exported from New Zealand by the FBI (via copying) was also illegally obtained. Things just got a lot messier for all the prosecutors involved. The ruling comes down from Chief Justice Helen Winkelmann, who rules that the warrants executed to perform the search do not adequately describe the nature of Dotcom’s offense. As such, she ruled, they are too broad and therefore illegal. The other part of the ruling deals with whether or not the FBI broke the law when they removed the seized data from New Zealand. The contentious part here is that no physical evidence was actually relocated; data was copied.” Read the full article here. From Styleite: Mary-Kate and Ashley Olsen have a new project: a backpack. The bag, designed for their fashion line The Row, is patchwork fur, and will cost $16,900. 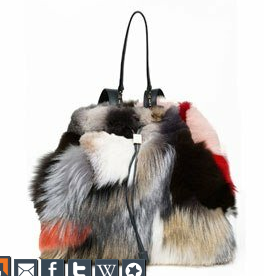 Reports Styleite, “Rachel Zoe, lover of fur and all things overpriced, brought this to out attention via The Zoe Report, and has already sung the praises of MK and A’s newest creation… No surprise here, but the Olsens have already been panned by the PETA for their use of fur. (For the record, no one has confirmed that it’s actually real, but judging by the price we’re guessing it is). At only $17k, this furry baby is a bargain compared to the last backpack the ‘Trollsen Twins’ designed. The alligator backpack came with a $34,000 price tag — that’s about 4 times the cost of your average Hermès Birkin.” Read Zoe’s statement, PETA’s complaint, and see a picture of the bag here. 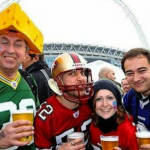 From SportsGrid: Rejoice, NFL fans. The NFL has changed their schedule, and you should be happy about it. Reports Sportsgrid, the league has “decided to move the 4:15, doubleheader games forward 10 minutes to 4:25. If the rule had been effect since 2009, the 44 missed finishes would have been reduced to just 15. Oh, and we’re talking purely in Eastern Time, by the way. Just because. So, should you be happy? Absolutely. 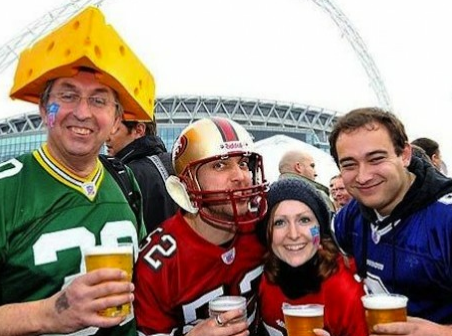 The NFL did something that leagues are almost never praised for: they did something entirely for the fans. It’s unlikely that this ‘problem’ was losing the league a discernible amount of fans or money; this was just a move made to improve the viewer’s experience. The NFL gets it, and this is part of the reason why its the greatest league in America.” Read the whole story here. From The Mary Sue: Good news for geeks! 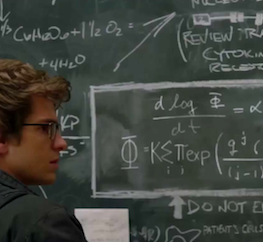 In case you were concerned, the science in the upcoming film, The Amazing Spider-Man, is accurate. “University of Minnesota physics professor Jim Kakalios was the official science consultant on the film and gave the filmmakers the scientific basis for wall crawling and the tensile strength of spiders webbing. His biggest contribution, however, was an equation called the Decay Rate Algorithm. The film’s prop master, Andy Siegel, needed a mathematical expression that would be distinctive and memorable so that the audience would recognize it at various points throughout the film. To meet this request, Kakalios used a combination of the Gompertz Equation and theReliability Theory of Aging and Longevity.” Watch a video on how it works and read more here. 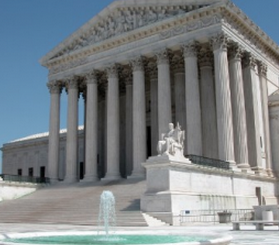 From The Jane Dough: More coverage on today’s landmark Supreme Court ruling. Mainly, what does it mean for women? Writes The Jane Dough, ” For those who are struggling to pay health care costs, this legislation is a huge deal — there are implications for everyone here, obviously. But women, perhaps, will be affected more than most. And it’s impossible to talk about the SCOTUS ruling today without reflecting how, in the weeks leading up to this decision, our place in the “Obamacare” debate has dominated the conversation — in alarming ways. In debates tinged with misogyny and sexism, questions over whether women have the right to birth control subsidies often devolved into arguments over morality itself… Beyond the legislation itself, the debate over women and birth control emerged as one of the ugliest political chapters for us in recent memory. And it revealed that many of the anti-women sentiments we sensed boiling under the surface were still, in fact, real.” Read more here. From The Braiser: Chef fans and foodies — get excited. There’s a new reality competition for you, and no, you don’t have to cook. 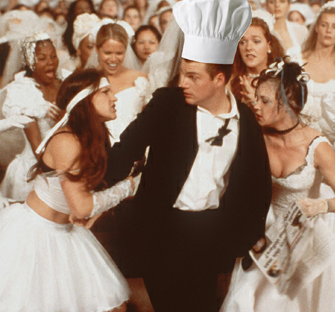 Instead, you just have to be an eligible match to date a chef. 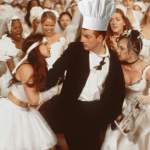 Reports The Braiser, “An as-of-yet unidentified network is currently casting a new reality dating show called Chef Wants a Wife. Which begs the question of anyone who’s ever so much as Wikipedia-ed Kitchen Confidential: does he, really, though? The reality dating show essentially takes on a Millionaire Matchmakerformat, where a ‘professional matchmaker’ sets up chefs who otherwise can’t find love, either because they work 80 hours a week, spend all their money on booze and drugs, have no quality of life, or are total dogs who can’t commit. Apparently this professional will do her best to redistribute their funds so at least as much money goes into dates as goes into whiskey and blow.” Find out how to be casted and read more here.